This week saw plenty of notable football clashes, but perhaps the most significant came from the Laval Rouge et Or’s 12-7 road win over the Montreal Carabins Saturday. The twice-a-year regular-season matchups between Laval and Montreal have usually determined first place in RSEQ, and have often provided an early look at the Dunsmore Cup (the Quebec championship, played between these two teams for the past five years and seven of the last 10, and won 25-22 by Laval last season) and have sometimes even given us a glimpse of who might win the Vanier Cup (the national title, won by Montreal in 2014 and by Laval five times in the past 10 years). So when the Rouge et Or and Carabins play, it’s often a close game, frequently a defensive struggle, and almost always a notable game. And all of those elements were there Saturday. Montreal put together an impressive drive early in this one, but Laval defensive back Gabriel Ouellet came up with a big interception. And from there, the Rouge et Or managed a drive of their own, setting kicker David Côté up for a 40-yard field goal. The sides went back and forth from there, but the only second-quarter scoring came from a 37-yarder from Côté, and the third quarter saw another Ouellet interception that turned into a Côté field goal, this time from 34 yards out. The Carabins were finally able to put a touchdown on the board in the fourth quarter when quarterback Dimitri Mourand snuck in from a yard out, but Laval extended the lead to 12-7 on Côté’s last field goal of the day (a 26-yarder, making him a perfect 4-for-4) with 1:52 left, and the Rouge et Or defence sealed it from there. There were some significant games involving other members of the Top 10, too. Fresh off their upset win over the then-No. 7 McMaster Marauders discussed in last week’s MMQB, the No. 9 Ottawa Gee-Gees pulled off another upset as per the rankings, narrowly besting the No. 8 Guelph Gryphons 12-10 at home thanks to strong play from their defense and special teams. In particular, defensive back Cody Cranston blocked a late 54-yard field goal attempt from Gabriel Ferraro that would have given Guelph the lead. ?? Trailing Sherbrooke for 59 minutes, the Stingers took over with a final chance to pull off the comeback. 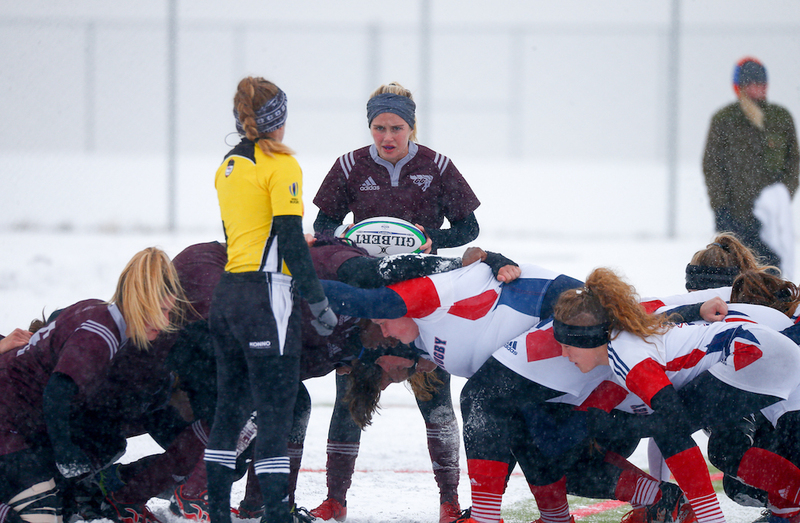 The women’s rugby season is underway in Ontario, Quebec and Atlantic Canada, and the No. 7 Guelph Gryphons posted one of the most notable victories this weekend, taking down the No. 4 Queen’s Gaels 39-34 in their season opener on the road Saturday. Guelph took a 29-5 lead into halftime before Queen’s battled back, but it was too little, too late. 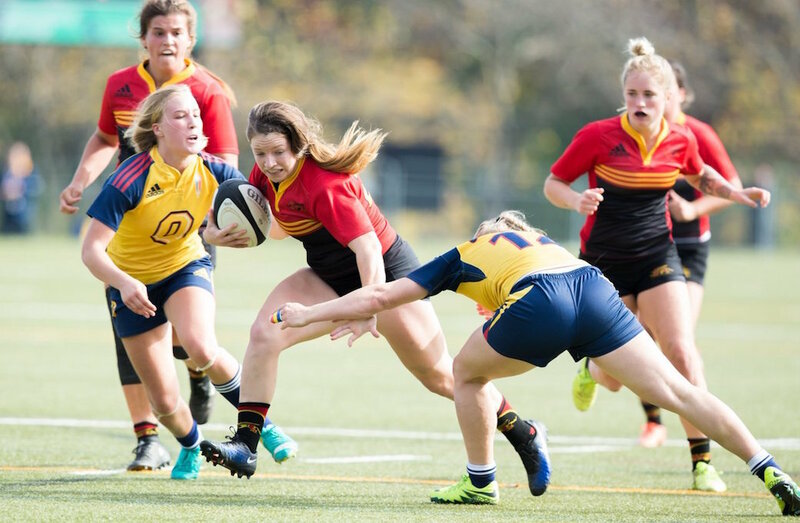 The Gryphons were boosted by two tries from Brodie Schmidt and single tries from April Wright, Erika Barton, Amara Hill, Rebecka Sundell and Emily Frasson. Elsewhere in women’s rugby, the No. 1 (and defending champion) Ottawa Gee-Gees beat the Sherbrooke Vert et Or 43-17, the No. 3 Laval Rouge et Or (who lost to Ottawa 24-12 in their season opener and the title rematch last Monday) defeated the McGill Martlets 79-0, and the No. 10 Acadia Axewomen thumped the UPEI Panthers 116-12. The national champion and No. 1 Cape Breton Capers started their season with just a 1-1 home draw with the UNB Reds Saturday. Rookie Daniel Williams scored for Cape Breton in the 51st minute, but Alex O’Brien responded for UNB in the 84th minute. Keepers Ben Jackson (Cape Breton) and Evan Barker (UNB) each made four saves. Meanwhile, the No. 4 Ryerson Rams were held to a 0-0 road draw by the No. 5 Carleton Ravens Sunday, and the No. 6 UBC Thunderbirds beat the Thompson Rivers WolfPack 2-0 Friday and the UBC Okanagan Heat 3-1 Saturday. The UOIT Ridgebacks picked up quite the impressive win Friday, beating the No. 5 Queen’s Gaels 2-0 at home. Georgia Wilder scored her first career OUA goal for UOIT in the seventh minute, while Taijah Henderson added her first of the season and 20th overall in the 72nd minute. Olivia Tierney made 11 saves to earn her second career OUA shutout. Queen’s bounced back with a 7-2 road win over the Trent Excalibur Sunday, while UOIT carried on with a 3-1 home win over the RMC Paladins. Elsewhere, the No. 1 Montreal Carabins beat the Bishop’s Gaiters 3-0 Friday at home, while the No. 2 Laval Rouge et Or were held to a 2-2 home draw against the UQTR Patriotes Friday. The World University Wrestling Championships saw plenty of U SPORTS athletes and coaches involved, and they turned in some impressive results. That was especially true on the women’s side, where Canada won the team title. 50 kg Jade Dufour gold ? 57 kg Alexandria Town silver ? 59 kg Laurence Beauregard gold ? 65 kg Haley Heffel silver ? 68 kg Indira Moores gold ? 76 kg Taylor Follensbee silver ? Meanwhile, Ravi Seth of the University of Waterloo and David Mill of the University of Western Ontario are amongst the five Canadians in the ongoing World University Squash Championships in Birmingham, England. Standout squash stars @WlooWarriors Ravi Seth and @WesternMustangs David Mills earn spots on Team Canada to compete at the World University Championship. In cross country, Laurentian University athletes took the top four places on the men’s side and the top five on the women’s side in the Laurentian Open. And in women’s hockey, several U SPORTS alumni are amongst the 59 players invited to Hockey Canada’s Fall Festival.